Kim Allchurch Flick speaks the languages of sales, marketing and great business strategy for social enterprise while comfortably acknowledging regulated sectors, cross-functional business, and the needs of entrepreneurs. She is a catalyst for change. I’m a connector and collaborator who catalyzes good business. My passion lies in years of cultural learning and experience woven through marketing, consultative selling and account management — overall great business acumen! At Mighty Epiphyte I advocate and support social impact entrepreneurs with resources and information they need to succeed, including B Lab Assessments for B Corp Certification. Business Development, Leadership, and Marketing are my strong suits. I have a deep passion for business improvement, social innovation missions, and non-profits. Mighty Epiphyte is certified as a Benefit Corporation for the State of Oregon. See the Mighty Epiphyte company report. As a Certified Projects for Good Consultant and student of Acumen Human Centered Design for Social Innovation, I build partnerships with strategic and thoughtful problem solving as a resource with a keen awareness of cultures. I am creative, critical thinker, and team player who easily adapts to change and loves to create positive change. I encourage creativity and empowering culture for people and businesses to thrive. Education and experience enhance my daily work ethic. I earned an International Business Management Masters (MIM from PSU) in Marketing and Sustainability and certificates in Digital Marketing Strategies, Social Enterprise and Project Management. Expertise through “think on my feet” successes in emerging markets, start-ups, non-profits and mid-size companies. #alwaysanadvocate I volunteer for organizations that support social enterprise, education, social enterprise, and environment. Volunteer passions include leading events and travel teams with purpose. Topics: LinkedIn and Learning to Interview based on Interviewer’s Perspective. Business advisor and instructor for the Small Business Development Center Encore and Solo Business Builder program. Mentor and capstone advisor for Portland State University MBA program. 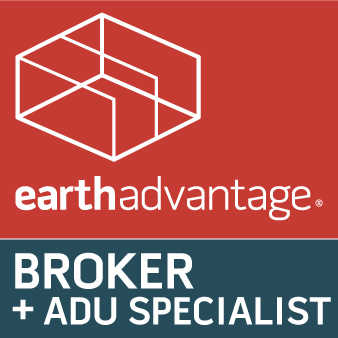 Kim is also a certified Earth Advantage + ADU Real Estate Agent. Learn more about her work in real estate. Ready to Certify as B Corp or Benefit Company? Request a free consultation. We want to get to know you. Copyright © 2019 Mighty Epiphyte. All rights reserved.